Home remodeling must be exciting but also frustrating!! Those things that hold progress up that you can't change...I do love the color in your bathroom! Wow what a beautiful home you are going to have. Our neighbors started construction on their addition in May and they are not finished yet either. 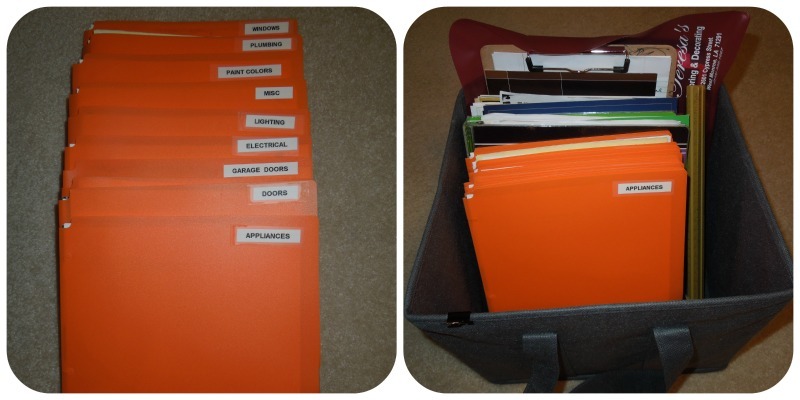 I think you may be the most organized woman I know! When we remodeled our kitchen, I needed your method of keeping up with everything!!! Love how your new house is coming along.....beautiful! I like your choices and your organization. I am so glad you shared the samples. I love the kitchen tiles and the plantation shudders in the bath is a great idea. It's looking great! 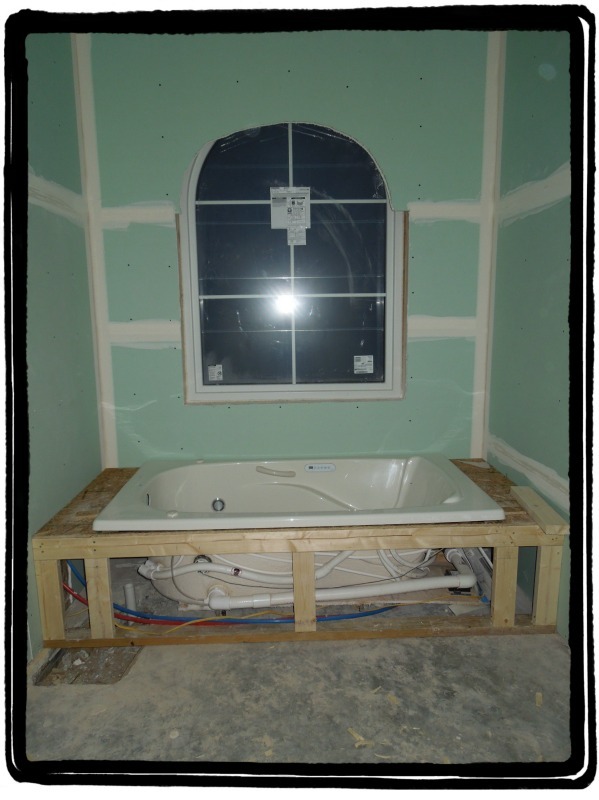 Love the arched window in your bathroom and your tile choices! Happy weekend! 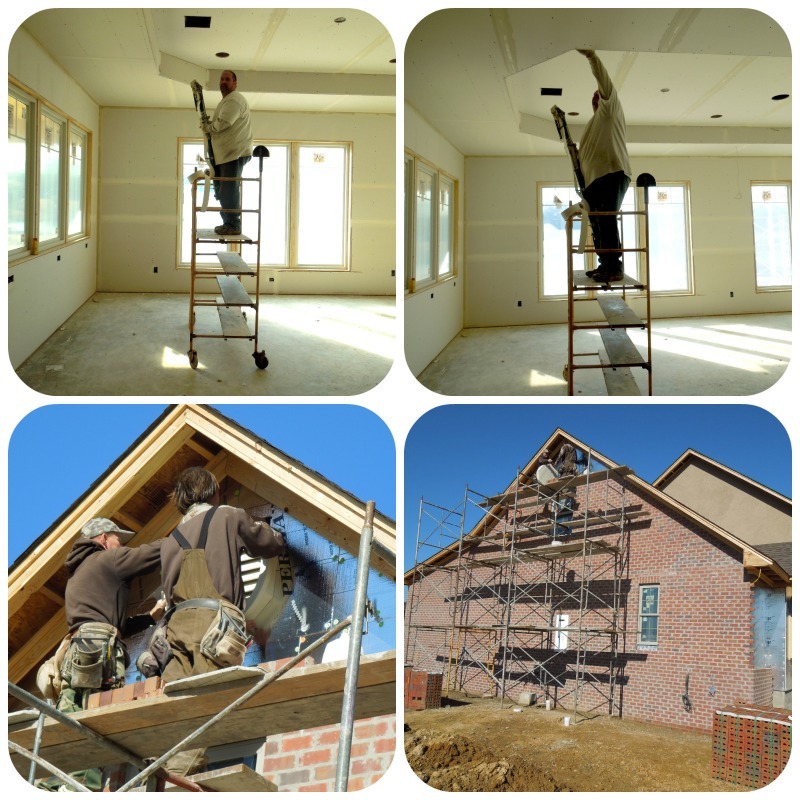 So exciting to see the progress in your home! Hope you are keeping warm! The tiles are lovely and so are the big windows. SEeing that front door should really start making it feel "polished" and very homey. I am so glad there are folks who love putting heights and manual labor together. Scares the dickens out of me to get higher than the top of a short step ladder! So, the big binder--the "bible"--how is it different organizationally from your separate binders? I'm curious because I wonder how all our home improvements coming in the next 6-8 mos would be best organized . Home building is not for the disorganized, certainly! Your system is admirable! I also continue to admire the beautiful light in your house; it's going to be so amazing! 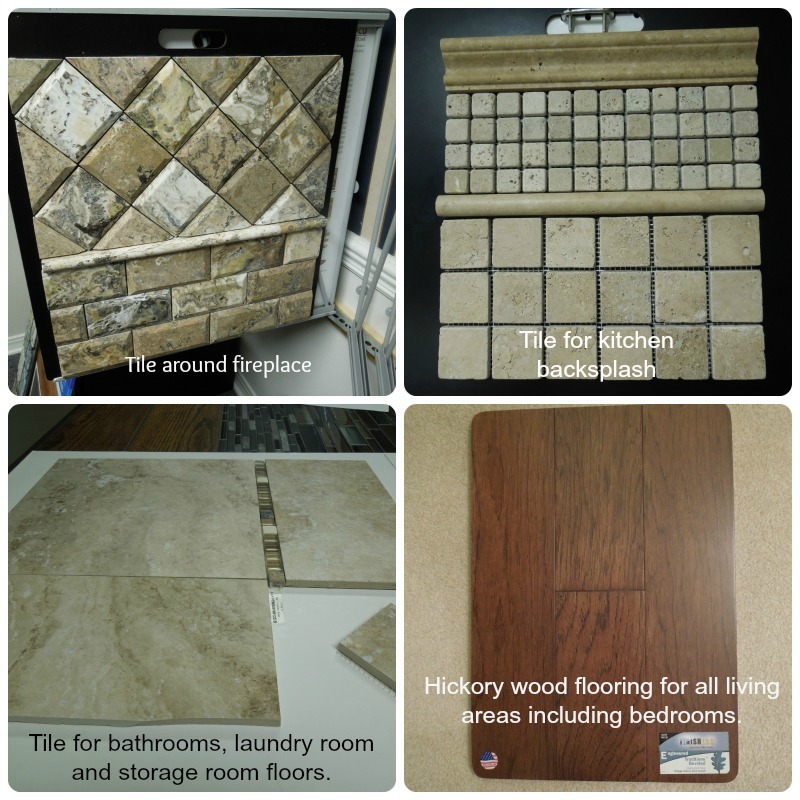 Thanks for sharing the update on your beautiful new home. Have a blessed week. 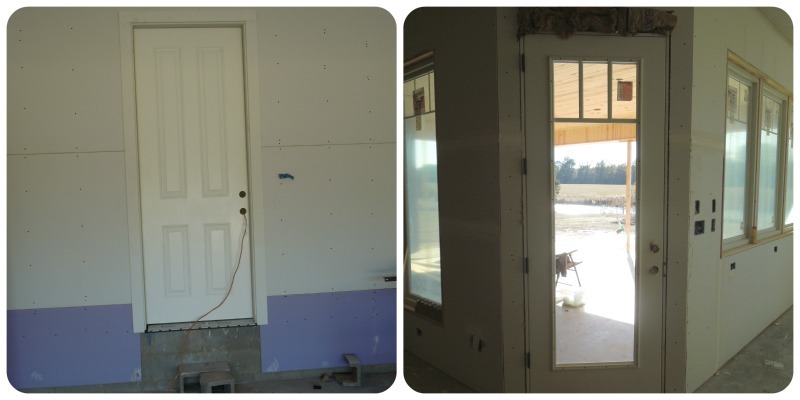 How exciting to see the progress of your house! So many design decisions. But I'm sure you will be so happy when you get to move in.